A shot of grinning actors from the Gardyne Theatre's Sleeping Beauty performance in 2017 (Photo: DCT Media). The festive season doesn’t feel complete without a night getting dressed up in top-notch attire and heading to the theatre. Whether it’s for your own source of entertainment, or for the little ones’ sake, it’s all about embracing the holiday spirit. So, which pantomimes are on in Dundee this year? And where are they being performed? This year, The Gardyne Theatre are bringing the rags to riches classic Cinderella to the stage. The 2018 production has been put together by the successful creative team behind last year’s Sleeping Beauty performance. It includes a few famous faces – such as River City’s much-loved Scott Fletcher (“Angus Lindsay”) and Tom Urie (“Big Bob”). Also part of the cast is Darren Connell from the popular BBC comedy series “Scot Squad”. The production will be showing from Saturday 8 November – Monday 31 December 2018. For more info on times and prices, click here. Another much-anticipated performance this year at The Gardyne Theatre is the Tale as Old as Time hit, Beauty and the Beast, presented by the Thomson-Leng Musical Society. With beautiful music and family morals, this show is not one to miss. Beauty and the Beast will be showing from Friday November 30 – Sunday December 2 2018 (don’t miss out). For more info, click here. Not quite a pantomime, but always a breathtaking ballet production, the Nutcracker is also coming to The Gardyne Theatre this year. Presented by Ballet West’s Touring Company, this cast has up to 100 dancers. Performing the renowned dancing role of The Sugar Plum Fairy will be Natasha Watson, who is a lecturer and principal dancer at Ballet West. Jonathan Barton, who has toured nationally and internationally with the English National Ballet, will be playing the role of The Prince. The performance will have its opening show on Tuesday February 5 2019. For more info check out the Gardyne Theatre website. Fancy a family friendly festive performance at The Rep this year? The Rep Theatre’s annual Christmas performance will be ‘The Snow Queen’ this year, opening on December 1. This story is family-friendly, totally original, and filled with seasonal cheer. Another ideal theatre production to enjoy during the festive period. The performance will be showing from Thursday November 27 – Monday December 31 2018. For more info on performance times and prices check out The Rep website. Only a 13 mile drive from Dundee, St Andrew’s Byre Theatre are also showing a suitably festive performance of Sleeping Beauty this year. This performance of Sleeping Beauty, presented by The Byre Theatre and Bard in the Botanics, comes with a uniquely feminist twist. 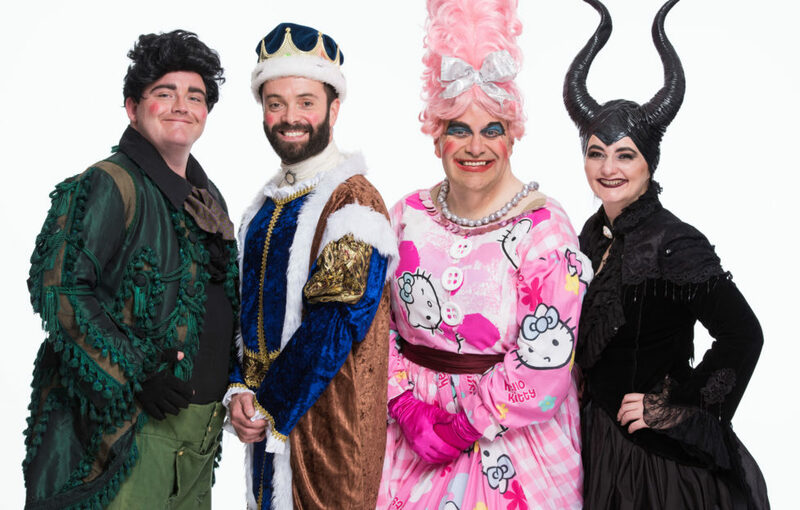 Although it sways from the original narrative of the fairytale, it promises to be filled with laughter, theatricality, and a fantastic set of costumes. This production will be showing from Thursday November 29 – Saturday January 5 2019. For more info on dates and times click here. Don’t forget to stay tuned on SeeDundee for more info on Christmas performances and events in Dundee throughout the holiday period.